Jamaica’s Senior Reggae Girlz wound up their local training camp with a squad game at the Montego Bay Sports Complex, yesterday. The 32-player squad has been in camp since January 16. The game provided the coaches with an opportunity to assess them in a game situation. Twelve of the players are first-time invitees. Coach Hue Menzie says forward Tiffany Cameron was one of the players he wanted to see. 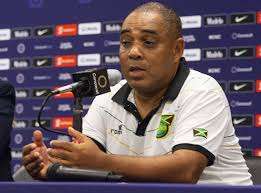 The Reggae Girlz are preparing to make Jamaica’s first ever appearance at a FIFA Women’s World Cup. The 2019 FIFA Women’s World Cup will be played in France.